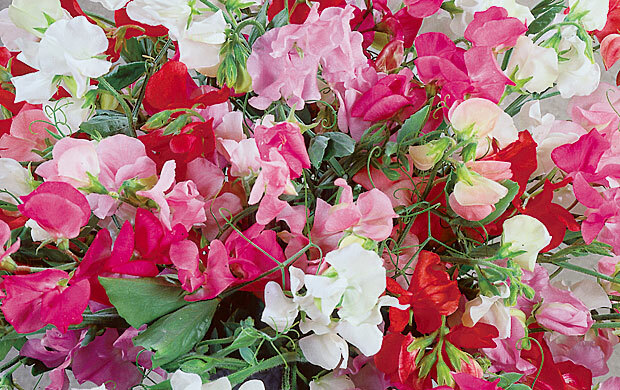 As spring approaches, gardeners seek the familiar signs of yet another growing season. Even before trees produce their leaves and the spring equinox arrives, the garden can be alive with color from early blooming bulbs. 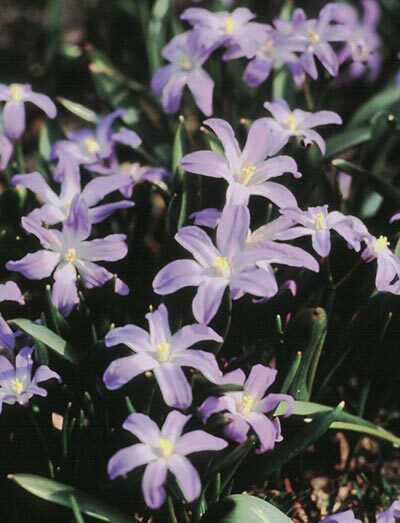 In February, some warming can bring up an occasional flower or two, but by March, color is almost guaranteed through the planting of crocus, snowdrops, or this month’s featured plant, glory of the snow (Chionodoxa). 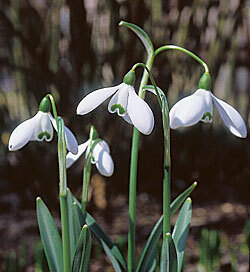 By late March (sometimes early April), glory of the snow produces 6 to 10 one-inch wide single flowers that last 3 to 4 weeks. Besides their vibrant color, these starry flowers are unique in that each blossom has a distinct white center. 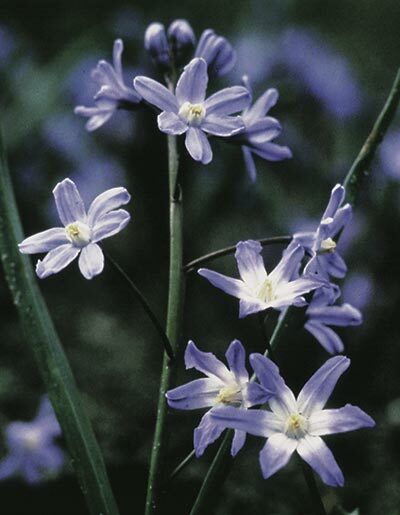 The species Chionodoxa forbesii (formerly C. luciliae) has glowing blue flowers, while the variety ‘Pink Giant’ has rosy-pink blooms. Both grow 6 to 10 inches tall. 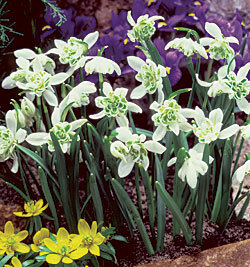 Since the flowers are small, a planting of 20 to 50 bulbs would provide the best show. This is also economically practical since the bulbs are usually inexpensive. 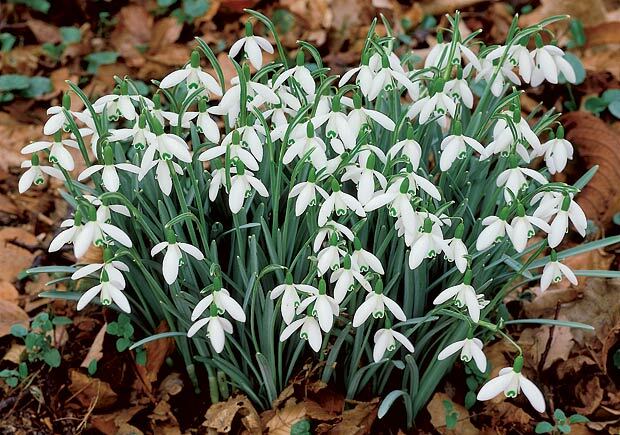 Glory of the snow is very easy to grow and amongst the hardiest of all bulbs. 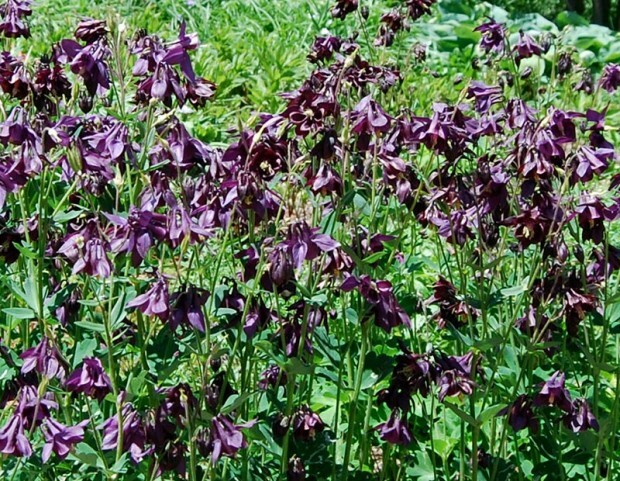 Only well-drained soil and some sun are required for good performance. Bulbs should be planted with bulb fertilizer in the fall about 3 inches deep and 3 to 4 inches apart. Glory of the snow self-sows and divides itself very freely to form self-sustaining clumps that may last effortlessly for years. However, best results occur if the younger bulbs or “offsets” are dug up in May and replanted with fresh soil, fertilizer, and adequate space. 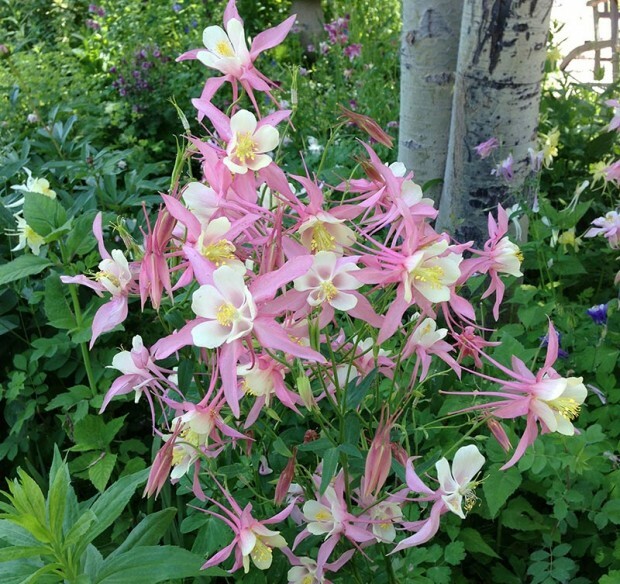 Plant glory of the snow in clumps around trees, in the rock garden, or even in your lawn. 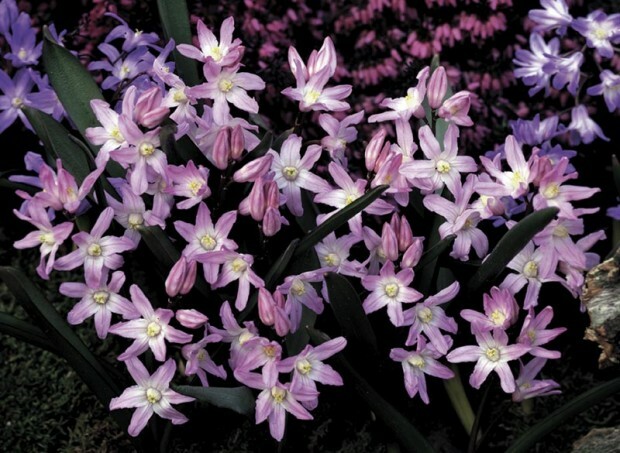 It works wonderfully alone or in combination with other spring-blooming bulbs. Later-blooming bulbs such as tulips can also be placed in the same planting hole since they require deeper planting depths of 6 to 10 inches. Glory of the snow thrives in woodland situations if tree leaves are shredded, mulched, or raked off to assist them in spring emergence. This tiny spring treasure is a must for any garden because of its versatility, performance, and durability. Try it almost anywhere! Just a few minutes of digging in the fall will allow glory of the snow to grace you with its presence for many years to come. Fall-blooming crocus or colchicum bulbs are durable, long-lived, low maintenance wonders. Gardeners looking to extend their garden’s blooming season far into the fall have a limited palette from which to choose. Fall pansies continue to grow in popularity and usually provide color until a hard freeze between Thanksgiving and Christmas. In a protected area these will often return the following spring and bloom until the heat of the summer knocks them out. For reliable October perennials, fall-blooming crocus or colchicum will do the trick. 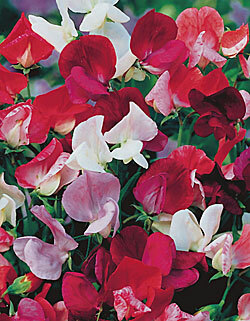 They come in a variety of colors ranging from rose, pink, violet, and white. Both produce chalice-shaped blossoms that poke through fallen leaves when you least expect them. There are actually two types of these fall bloomers. It is very easy to confuse the autumn-flowering Crocus or “fall crocus” (a member of the iris family) with the Colchicum or “autumn crocus” (a member of the lily family) because of similarly shaped and colored flowers. Some differences, however, do exist. Colchicum usually have layered blossoms on taller plants that flower a little later than autumn-flowering crocus. The other major difference is the price: fall-blooming crocus is much less expensive than colchicum. Both types will produce green foliage in the spring that turns yellow by June. In fall, blooms appear without foliage, thus producing the nickname “naked boys” for colchicum. Crocus require a planting depth of 3 to 4 inches while colchicum prefer a 4 to 6 inch planting depth. 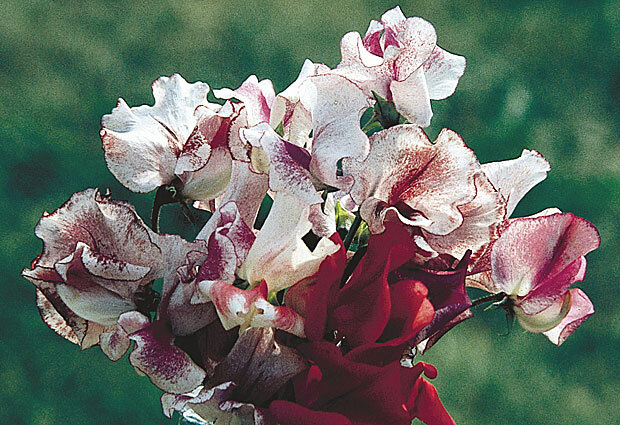 Both prefer well-drained soil amended with bulb fertilizer, and both will tolerate full sun to partial shade. Both are reliable as naturalizers, which means they will return yearly without any fuss. Use groundcovers such as ivy, pachysandra, myrtle, or even your existing lawn to camouflage the spring foliage. This may also protect the bulb from getting damaged when, inevitably, its location is forgotten during the summer. Several colchicum varieties are readily available and will bloom this fall whether you plant them outside or not. These corms will even flower on a table without water or soil, and will survive as long as they are planted outside shortly thereafter. All colchicum are poisonous, so squirrels are not likely to present a problem. Colchicum also makes an interesting and attractive cut flower because it doesn’t require water and stays fresh for days. 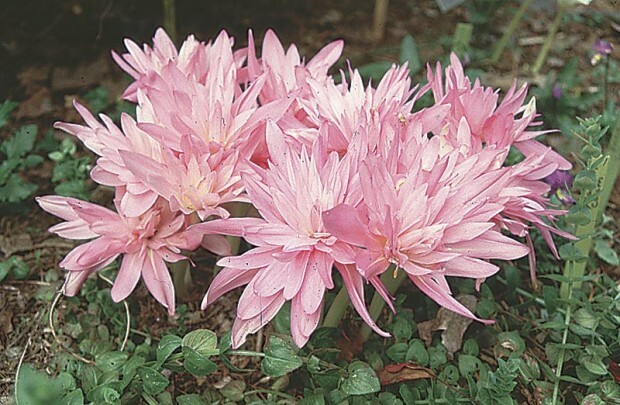 The hybrid variety ‘Waterlily’ is 8 to 12 inches tall and has large, fully double, pink blooms in early to mid October. ‘Lilac Wonder’ has thinner petals and single pink blooms in early October. Other varieties exist but expect to pay more for rare ones such as the double white version. Fall crocus (Crocus speciosus) are far more economical and therefore are perfect for mass plantings. The lavender-blue flowers open in the sun and close at night or during inclement weather. Although squirrels like these corms, other food is readily available in the fall during planting time. Once established, fall crocus divide into “cormlets” so easily that it would be almost impossible for animals to get every last one. 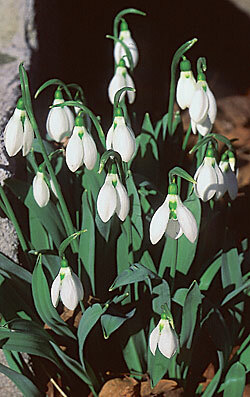 These 5- to 6-inch tall beauties are snow tolerant and naturalize exceptionally well. In addition to Crocus speciosus, with a little extra winter protection you can also try saffron crocus (Crocus sativus), from which the highly sought after saffron is harvested. Use fall-blooming crocus or colchicum bulbs in perennial beds, rock gardens, or tucked beneath deciduous trees or shrubs. 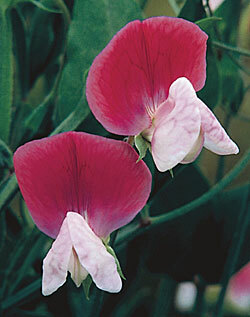 They are durable, long-lived, low maintenance wonders and a perfect way to end the garden’s flowering season.